Two House representatives with constituencies in the tech industry wrote to FTC Chairman Jon Leibowitz today to urge him to rein in his agency’s antitrust investigation of Google. 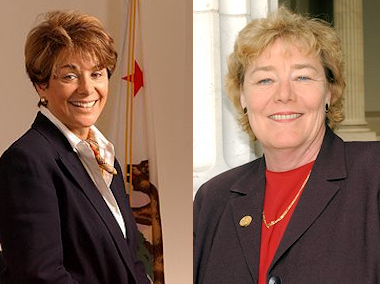 Anna Eshoo, who represents Palo Alto and the surrounding areas, and Zoe Lofgren, who represents San Jose, said they didn’t approve of leaks that the FTC may try to expand its power to show the search giant used unfair methods of competition. One, that the leaks are happening, given that the FTC has yet to vote on a complaint against Google and settlement talks are ongoing. And two, that broadening the FTC’s power under what’s known as “Section 5” of antitrust law could stifle growth in the relatively economically healthy area of online services. Senator Jim DeMint had sent a similar letter to Leibowitz last Thursday, expressing concern about the use of antitrust authority on the tech industry. What’s the Section 5 stuff about? It’s possible that the FTC would need an expansion of its jurisdiction to prove its case against Google. That’s in part because Google’s actions to secure its lead in search and search advertising have perhaps been more harmful to competitors than they were to consumers. Section 5 keeps cropping up because Chairman Leibowitz has publicly expressed his interest in setting a precedent on this exact issue. Those who believe the FTC has a weak case are inclined to think Leibowitz et al need to expand their role to prove it. Those who believe the FTC has a strong case — or that it will opportunistically pursue a case that it can win — think the Section 5 stuff is less relevant. But part of this battle is how it plays out in public. If people start thinking of the Google antitrust case as an effort by the government to hurt a shining star of job creation and innovation, that plays a lot differently than a big bad monopolist going after its competition. And the Eshoo/Lofgren letter shows that some of the folks in Washington — at least the ones who hail from Silicon Valley — are quite aware of that. For more background on the case, see my overview from my time in Washington last week.